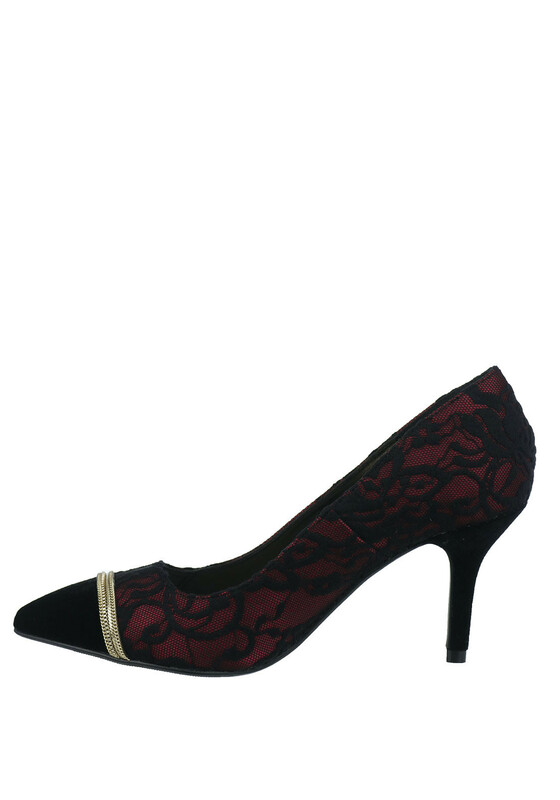 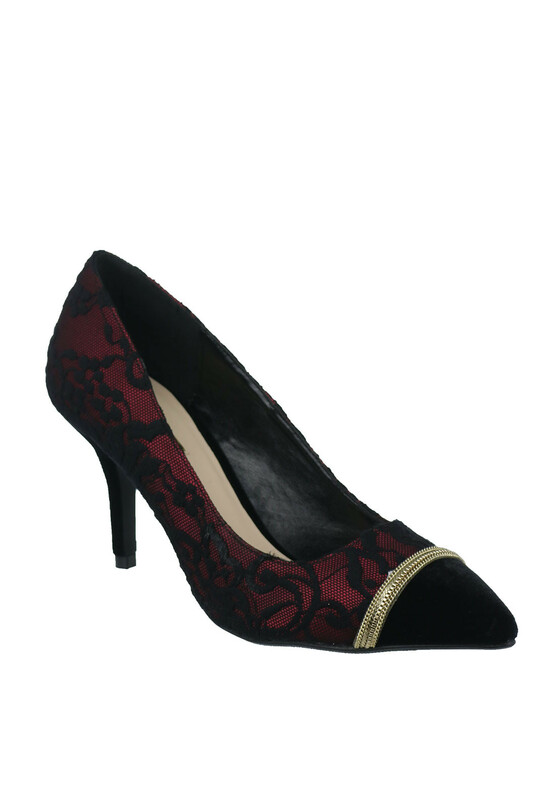 Glamour presents these stunning pointed toe court shoes which featured a feminine lace overlay and have soft velvet on the heel and toe. 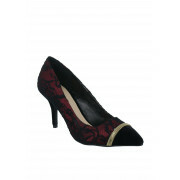 A gorgeous pair with gold chain embellishment on the toe which completes the look. 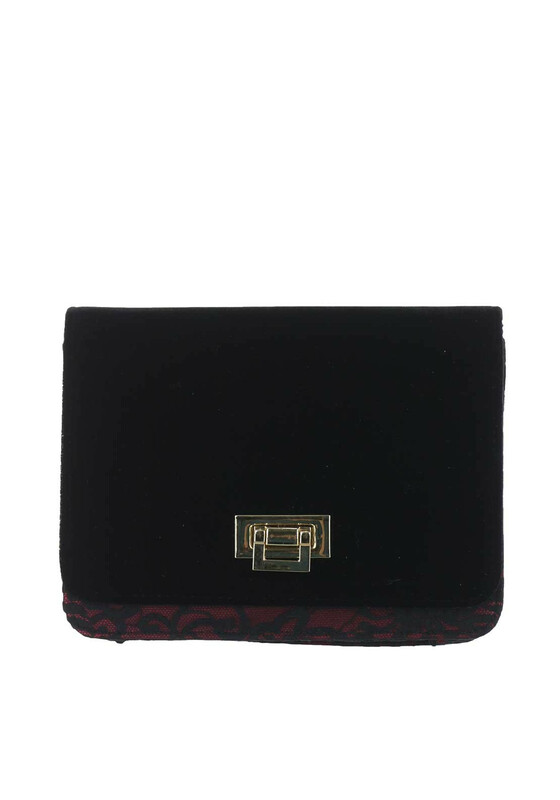 Team with the matching lace shoulder bag for a special occasion.